Since obtaining his bachelor’s degree in finance from NIU in 1978, Alex Cummings has moved up in ranks at the Coca-Cola Co. and is now executive vice president and chief administrative officer. But he told Front Page Africa that he still has more to accomplish to help his native people in Liberia. “I want my life and success to be an example to Liberians, especially the youth, of what is possible with hard work, tenacity, focus and determination,” Cummings said during the interview. Cummings plans to leverage his networks to bring greater support and visibility to Liberia. Among his networks (where he sits on many boards) are Chevron Corp., SC Johnson, Clark Atlanta University, the African Leadership Foundation and the Liberian company Sundial Brands. Liberia is recovering from a brutal civil war and a deadly Ebola epidemic. In response, Cummings said, Coca-Cola has provided water, juice, medical supplies and financial support through the Liberia Coco-Cola Co., one of the major employers in Liberia. To help with the Ebola outbreak, the company has also completed six water health centers to provide clean and affordable water, he said. After graduating from NIU, Cummings returned to Liberia to work at a bank and then came back to the U.S. to get a master’s degree in finance from Atlanta University. 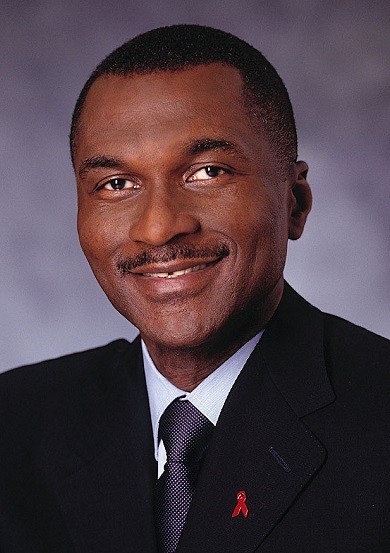 That led him to a career at Pillsbury in Minnesota, followed by a job at Coca-Cola as regional manager for Nigeria. Before his current position, he was president and chief operating officer of the company’s Africa group.